The Youth Farm Project has been a collaboration of strength and diversity from its inception. Three Swallows Farm, the Full Plate Farm Collective CSA, Lehman Alternative Community School (LACS), and the Southside Community Center all put their heads together in 2009 to create a job experience for youth ages 14-18 that exemplifies what it means to work together, learn leadership and communication skills, and of course, learn to grow food for our Ithaca community. In 2016, Wood's Earth merged with YFP, and brought the Fresh Snack Program and school field trips under our wings. The field trips have expanded and are now serving Pre-k through 12th graders in our local Ithaca schools. A core part of our programs is the Summer Program, bringing youth together from diverse social and economic backgrounds and studying the discrepancies within the existing food system. We create opportunities for youth to grow as individuals by giving them responsibility in all aspects of farm work, from planting seeds to selling the produce at our Mobile Market that they manage themselves. We strongly believe that giving youth the opportunity for connection to real work and connection to their community has contributed to the strength of our program. We work hard together in the hot sun, we learn to cook what we grow, we eat together, we share our harvest with those that need it. We are currently entering our 7th growing season as the Youth Farm Project on 10 acres of land, generously leased from the Ithaca Waldorf School. Each year we grow 3-4 acres in annual vegetable crops, managing the other 6-7 acres in cover crops such as red clover, rye, or oats and peas. 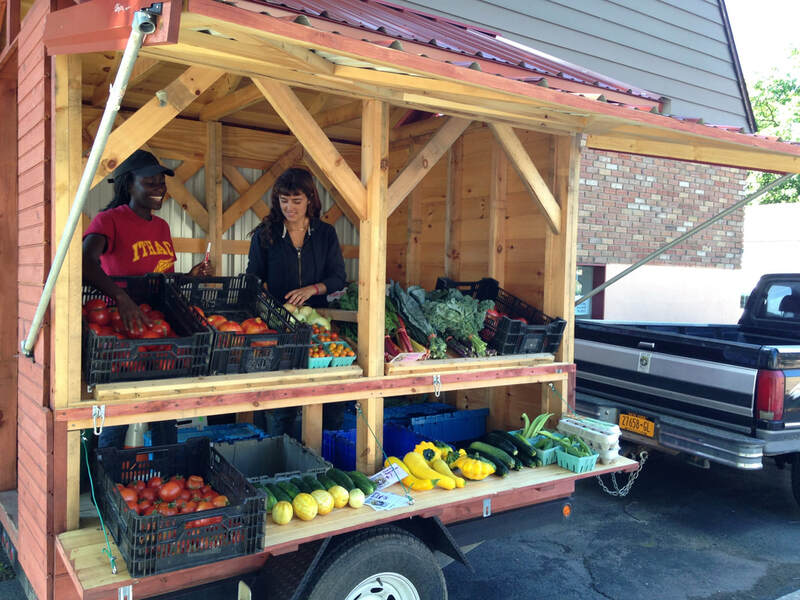 The food we grow goes to: the Ithaca City School District Lunch Program, our Fresh Snack Program, our Harvest Box program, through our Mobile Market stand and the Congo Square Market (Friday evenings in the summer). The Youth Farm Project is a fiscally sponsored project of the Center for Transformative Action (CTA). CTA, an educational 501(c)3 nonprofit organization, is legally and financially responsible for all our project activities.